Joining a global agency network is not a new thing for RMS Media as the company was previously part of Columbus Media International, a collective of global, independent media agencies. Local Planet builds on the foundation that Columbus created. “As a founder shareholder agency it is really exciting to build a genuine alternative media agency network from the ground up!” says Smuts, describing the nature of Local Planet. The other benefit for agencies, Smuts says, is that the network has avoided the corporate buy-out trap, that being the loss of key skills once an earn-out is completed. A major positive for Local Planet is that it will be headed up by a very experienced team. Martyn Rattle, formerly global CEO of Vizeum and global chief client officer of Aegis Media, was named as the global CEO of the new network. He will be assisted by Bill Koenigsberg, president, founder and CEO of Horizon Media, who was named chairman. Each media agency head will also be doing their part to ensure the success of Local Planet. “We’ve created a winning local up formula – our network agencies have a local mindset and now international capability. The key to Local Planet’s international success will be our ability to compete and win locally,” Smuts says. Aside from creating new opportunities for RMS Media, Local Planet will also benefit the clients that the SA agency serves. “Having successfully traded in our competitive media market place for 23 years – we’ve more than earned our stripes. Our alignment with Local Planet will open the door for more clients to experience our personalised service and unique brand of innovative communication solutions,” Smuts explains. 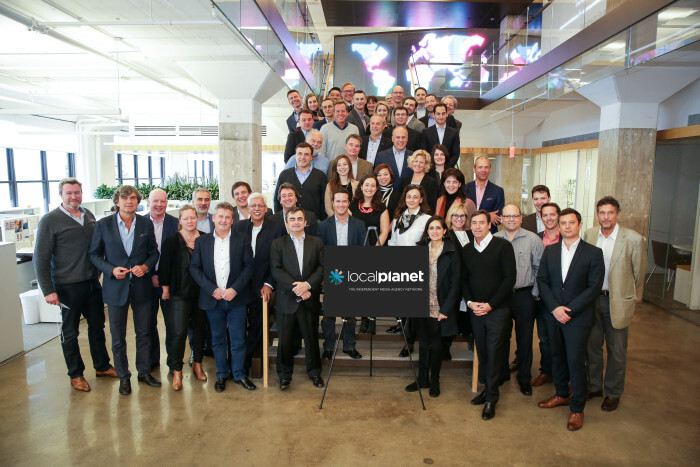 At its launch, at the beginning of this week, Local Planet revealed it operates in over 40 markets worldwide, with access to a team of 3 000 media experts and boasting billings in excess of $10 billion. Big founder agencies include the7stars (UK), Horizon Media (US), Zertem Communication Group (Spain), Media Italia (Italy), pilot (Germany), CoSpirit Media Track (France), Tre Kronor (Sweden), and Percept Media (India). The network agencies currently work with some high profile brands including Geico, Capital One, Nike, IKEA, Viacom, Pfizer, H&M and Kayak.